Lavender Chamomile Goat Milk soap. 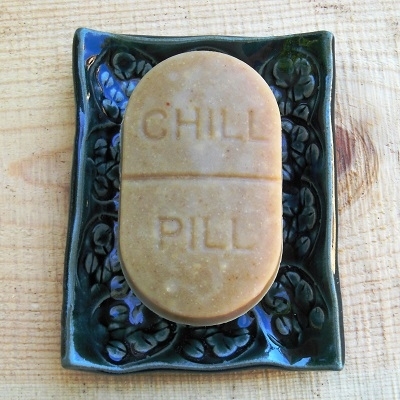 Our Lavender & Chamomile soap, in a Chill Pill mold, bring to mind relaxing thoughts. "Take a Chill Pill"